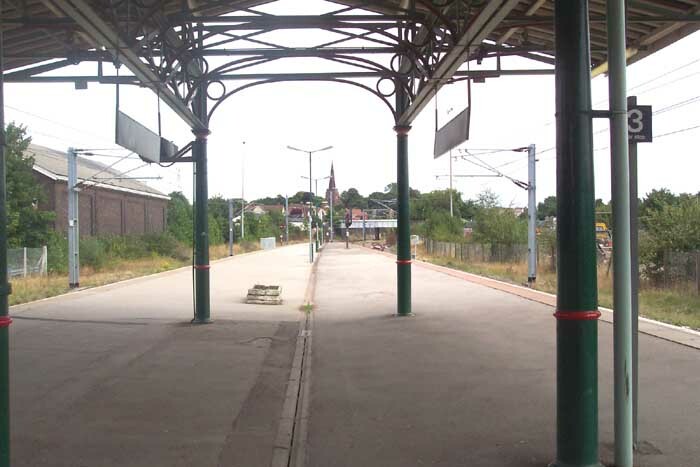 Lichfield City Station opened in 1849 on what was then the LNWR line which came down through Lichfield Trent Valley and, just to the south of Lichfield City, curved West heading for Walsall. 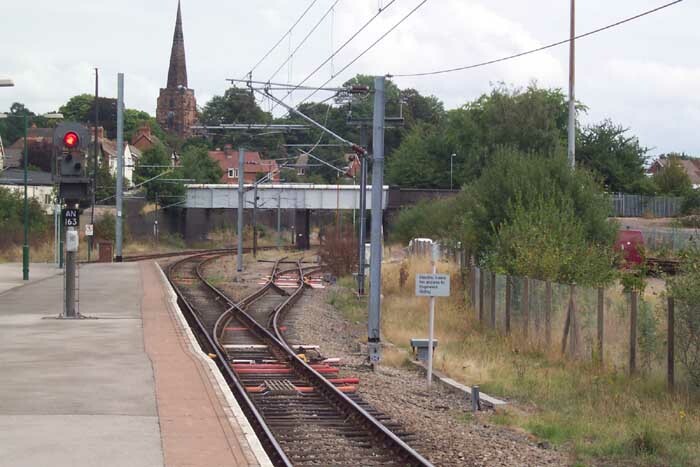 In 1884 the LNWR Sutton Coldfield To Lichfield Line was completed leading to a junction just to the south of the station and placing Lichfield City Station at the hub of the two routes. 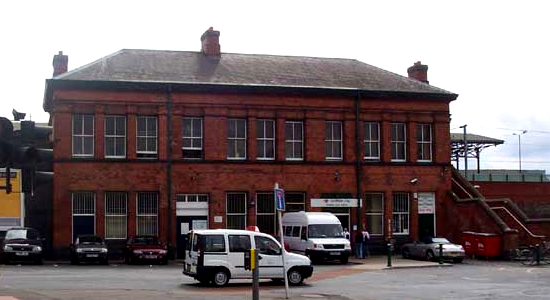 Later to fall under the auspices of the LMS, Lichfield City has retained considerable character, see the original station building above shot in August 2003, although it doesn't take much looking around to see that there have been considerable changes over the years. 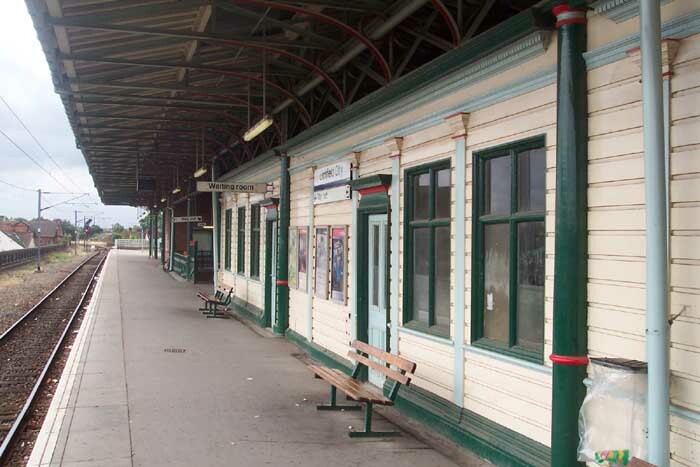 Above-left is the 'Engineers Siding' with a warning that Electric trains should not attempt to enter! To the far right of the picture appears to be the area of the goods sidings in the 1887 map - it is now occuppied by a skip-hire company but I did have a look around and there still exists a disused weighbridge and a few bits and pieces hinting at its previous function. 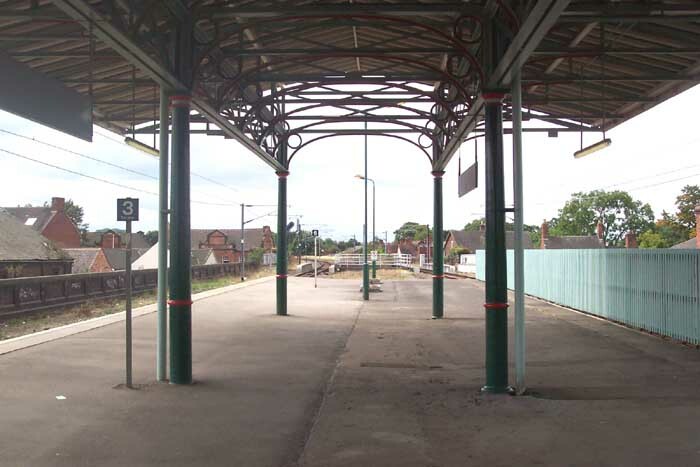 Above-right we see the platform building waiting room from the Birmingham platform looking towards Shenstone.